Emma Long: Corporations Can Speak... But Can They Also Be Religious? 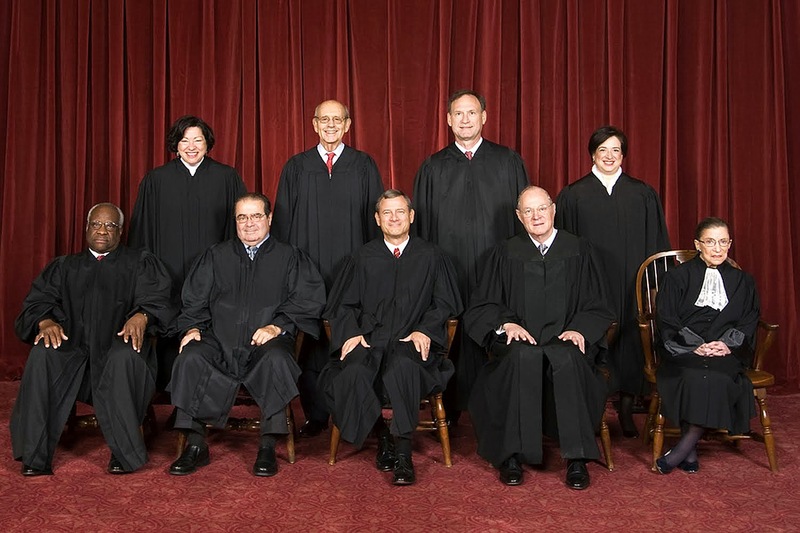 On November 25, 2013 the U.S. Supreme Court announced that it would hear argument in a pair of cases which have the potential to be among the most wide-ranging and controversial cases of the Court’s current term. For a docket that already includes affirmative action, public prayer, and campaign finance, that is quite an achievement. But Sebelius v. Hobby Lobby Stores and Conestoga Wood Specialties v. Sebelius involve Obamacare, religious liberty, reproductive health, and questions about the extent of the rights of corporations. These two cases thus encompass some of the most controversial issues in U.S. politics. These two cases are representative of more than sixty lawsuits filed across the United States which challenge the section of the Patient Protection and Affordable Care Act, more often referred to as Obamacare, which requires companies with more than fifty employees to provide those employees with a minimum level of healthcare coverage, including access to certain types of contraception and pregnancy-related healthcare. After long and heated negotiations, churches and religious non-profit organisations were exempted from this part of Obamacare on religious grounds. The companies involved in these lawsuits, including Hobby Lobby which owns a chain of arts and crafts stores across the U.S. and Conestoga Wood Specialties which makes wooden cabinets, argue that they too should be exempt from this law on the grounds of religious freedom. The owners of these companies assert that they formed and run their companies along lines dictated by their religious faith; requiring them to pay for healthcare which includes certain kinds of contraception, they argue, violates their fundamentally held beliefs as embodied in these companies and thus impermissibly and unconstitutionally burdens their right to the free exercise of their religion. The Obama administration has argued in return that these are businesses, not individuals of faith nor religious organisations, and thus are not eligible for exemption. Viewed simply on religious freedom grounds, it seems unlikely that this case would win the majority of the Court. Historically the Court has held that facially neutral laws (i.e. those that do not differentiate on the grounds of faith) which incidentally impact on the religious beliefs or practices of individuals or groups are acceptable. The healthcare mandate does not define its application by religion and therefore appears to fit easily into the Court’s precedents. In addition, a finding in favour of the company runs the risk of entangling courts across the country in an area that the Supreme Court has consistently denied the judiciary has any role in. Traditionally the Court has steered clear of making decisions in which it has to decide what can or should be classed as faith or religious belief (for example, disputes between divided congregations or questions of ministerial duty). The danger should the Court find in favour of Hobby Lobby and Conestoga Wood Specialties is that courts and governments around the U.S. will find themselves having to address the question: is this company “religious”? Or, even more dangerously for religious freedom, is this company religious enough? Given that the Court has been reluctant to involve itself in such questions, it seems unlikely that a majority would be willing to hand that responsibility over to lower courts or other branches of government. However, the great unanswered question surrounding this case comes in the form of the Court’s controversial 2010 ruling in Citizens United v. Federal Election Commission. There the Court, with a 5 to 4 majority, held that corporations, in the form of spending in political campaigns, could “speak” and thus had free speech rights that were protected by the First Amendment. Exactly how far this ruling goes has yet to be challenged. But, if companies can speak, then maybe, just maybe, they can hold and express religious beliefs too. If a majority of the justices are willing to view the cases in this light then the companies might prevail. Support for this approach is provided by the 1993 Religious Freedom Restoration Act, a federal law that states the government cannot impose a “substantial burden on a person’s exercise of religion,” unless there is “a compelling governmental interest.” A burden incidental to a facially-neutral law may be held to violate the Constitution unless the government can prove that the law fulfils such a compelling interest. Universal health coverage for all would, at least for supporters of Obamacare, meet such a test; critics, of course, argue otherwise. The Supreme Court’s decision to take these cases is not surprising. The lower courts, the Tenth Circuit for Hobby Lobby and the Third Circuit for Conestoga, divided on the results and reasoning in these cases. In the former, the Tenth Circuit found in favour of Hobby Lobby, holding that the company was a person under RFRA and that there was no compelling interest to justify the burden on its religious beliefs represented by the healthcare mandate. The Third Circuit, however, ruled that secular, for-profit organisations like Conestoga Wood Specialties cannot engage in religious exercise and ruled against the company. Since historically division among the lower courts has been an indicator of likely Supreme Court involvement, commentators had been anticipating that this issue would eventually make its way to the Court’s docket. What might be the potential consequences of the Court’s ruling? A decision rejecting the companies’ request for exemption from the healthcare mandate would, in effect, put an end to the lawsuits currently being heard across the U.S. and require those companies covered by the Act to provide healthcare including contraception and pregnancy-related healthcare to their employees. Potentially it would also recognise limits to the rights of companies that were expressed in Citizens United. And it would also provide a boost to the fortunes of the beleaguered Patient Protection and Affordable Care Act. According to the companies and their supporters, such a ruling would also impose heavy burdens on the rights of religious freedom for those of faith who choose to run their businesses with a religious ethos. Should the Court rule in favour of the companies’ claims, at the very least Obamacare would take a significant knock, potentially encouraging further challenges. In addition, the rights and status of corporations and businesses would be expanded significantly beyond their current position: if companies can speak and be religious, what other protections embodied in the Bill of Rights might then be claimed? For many women, the consequence could be making a choice of employment based on the type of healthcare provided, or giving up the right to choose certain contraception methods in favour of employment with one of these companies, a choice not to be taken lightly in the current financial circumstances. There is, therefore, a great deal at stake in Sebelius v. Hobby Lobby Stores and Conestoga Wood Specialties v. Sebelius. Those with an interest in religious freedom, privacy and reproductive rights, the status of corporations, and, of course, the Patient Protection and Affordable Care Act will undoubtedly be watching with interest.